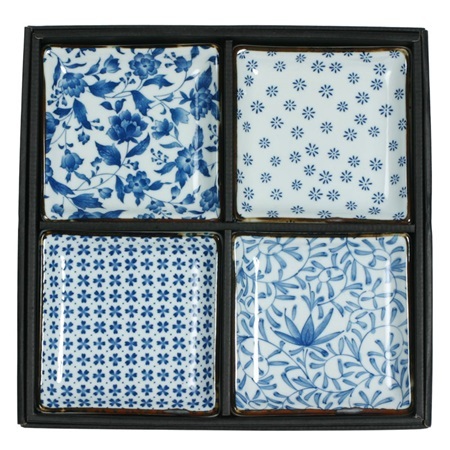 Wonderful assorted floral patterns in the traditional blue and white color scheme. 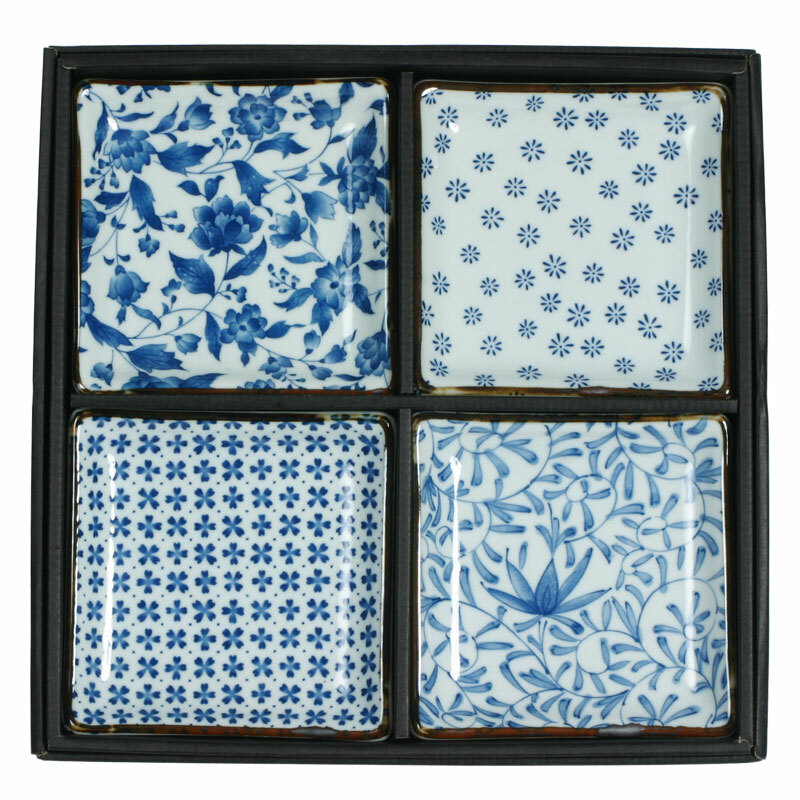 This set of four 5" square tabletop plates makes a beautiful gift for your favorite flora lover! Packaged in a gift box. Matching sauce dish set also available [item# J1006].